Absorb yourself in history with a becak ride through the old city. Historically, Solo or Surakarta has been a centre of power in Central Java. In 1745 the Mataram court was transferred here from Kota Gede, and, since then, the city has built on its reputation as a cultural hub. From Solonese dance, wayang puppetry through to hand-crafted batik Solo remains a city that prides itself on its artistic traditions of elegance and refinement. Today, Solo is part of the province of Central Java. With a population of over 550,000 people, Solo is a densely populated city. But while people may live close together there are no high rise buildings, so this city has a community atmosphere that is difficult to find in any other city in Indonesia. The handiest way to get around Solo is by becak. The compact size of the city means walking is an option however the streets are crowded and noisy and not well paved. Bicycles are a good option for those who are willing to brave the traffic and can be rented from tourist offices in town. For a more traditional experience, try renting a horse drawn carriage. Taxis are available though they can be difficult to find away from the main tourist areas. Rental cars are available for hire and can be organized through some of the bigger hotels in Solo. Solo has a large airport, the Surakarta-Adi Sumarmo Wiryokusumo International Airport, which has daily flights traveling from most major cities throughout Indonesia. International flights also fly from here to Malaysia and Singapore. AirAsia flies from Kuala Lumpur to Solo and SilkAir from Singapore. From Yogyakarta, you can travel to Solo by express minibus which takes around one hour. The cheaper but more crowded public buses also travel by this route. Night buses travel from Jakarta to Solo and take around 12 hours. The train goes regularly between Solo and Jakarta and the trip takes between 11-12 hours. The train continues to Surabaya. Domestic airlines that fly in and out of Solo include Garuda Indonesia, Lion Air, and Sriwijaya Air. 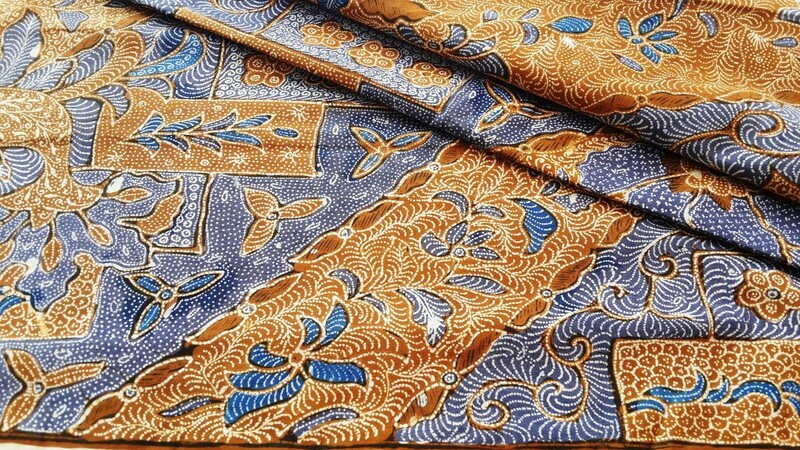 If you’re shopping for batik in Solo try Pasar Klewer, a textile market with a bewildering array of batik. Prices here can be almost half what you would pay in a store. The selection of prints on sale can be overwhelming so remember to keep focused on exactly what you want. It is best to go shopping here as early as you can as it gets hot and crowded quickly. Bargaining skills are essential and all part of the fun. The price will vary depending on the quality of the cloth, the process, the amount of detail, the quality of the dye and the presence of any defects. Solo has a yummy snack to satiate your craving for some sweet goodness called Serabi Solo. Don't confuse this, however, with the other types of Serabi offered on the island of Java. This snack is basically made with rice flour mixed with coconut milk and then fried similarly to the way pannekoek (Dutch pancakes) is fried. Some variations include toppings such as bananas, chocolate sprinkles, cheese or even jackfruit. Just watch out for those calories because once you start munching, you just can't stop!